The Accounting Flowchart visually describes the financial accounting process, shows the accumulated information about transactions and events for creating the balance sheet and the final income statement. ConceptDraw DIAGRAM provides you the incredibly useful feature — ConceptDraw STORE that gives you the possibility to navigate through ConceptDraw Solution Park, manage downloads and updates, take the access to libraries, templates and samples directly from it. 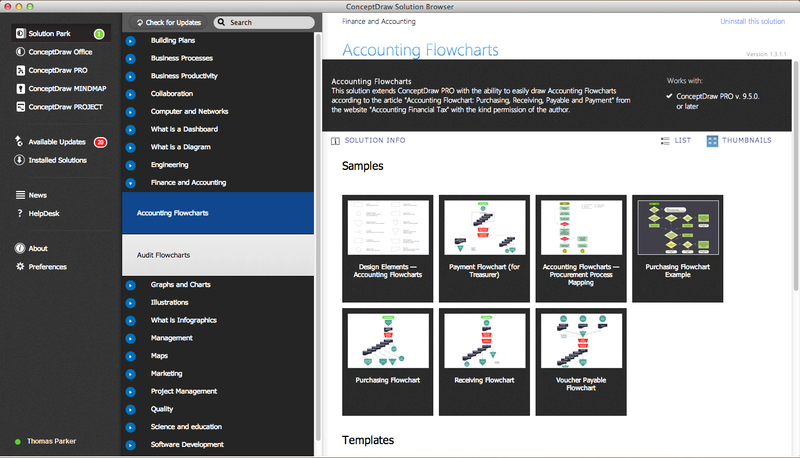 For designing the Accounting Data Flow from the ConceptDraw STORE you can choose the Accounting Flowcharts Solution from the Finance and Accounting Area. Use the predesigned vector objects from the Accounting Flowcharts library creating the Accounting Data Flow from the Accounting Flowcharts Solution. To draw the professional looking colorful Accounting Data Flow from the ConceptDraw DIAGRAM quick and easy: simply drag the desired accounting flowchart shapes from the Accounting Flowcharts library into your document, type the title and text, add the colors. You will get the best results in minutes. Accounting Flowcharts Solution contains also a wide variety of templates and samples that you can use as the base for your own Accounting Flowcharts of any complexity. Use the Accounting Flowcharts Solution to create your own professional Accounting Flowcharts and Accounting Data Flow from the ConceptDraw DIAGRAM quick and easy. The Accounting Flowcharts produced with ConceptDraw DIAGRAM are vector graphic documents and are available for reviewing, modifying, and converting to a variety of formats (image, HTML, PDF file, MS PowerPoint Presentation, Adobe Flash or MS Visio). When you are a beginner in software development, you make a lot of mistakes. Developing logical models, or data flow diagrams is a way to see the the whole project and all the processes clearly. And some novices, unfortunately for them, miss modeling stage at the beginning of project life cycle, and get into troubles as the project grows. This image represents the data flow diagram applying symbols of Yourdon and Coad notation. This DFD depicts the data flow inside an organization department deals with receivables. The icons of standard Yourdon and Coad notation provides possibility to draw professional looking and well- readable DFD for business documentation. This data flow diagram was designed with the help of ConceptDraw DIAGRAM v12 and its Data Flow Diagrams solution. The solution delivers three vector graphic libraries including elements of Yourdon and Coad and Gane-Sarson notations. There are many ways to define the flow of information within a system. Structured-systems analysis method often uses data flow diagrams to show data flow, data storages and data processing visualization. These diagrams are easy to develop and quite useful. Here is a dataflow diagram presenting an example of the manufacturing process flow. The oval process shapes represent a process that controls data within the current system. The process may produce data or make some action based on data. Data flows are represented by lines. They show the movement of information through the system. The direction of the data flow is depicted by the arrow. The external entities are shown by rectangles. They represent the external entities interacting with the system. The data store objects (unclosed rectangles) are used to show data bases participating in a process flow. 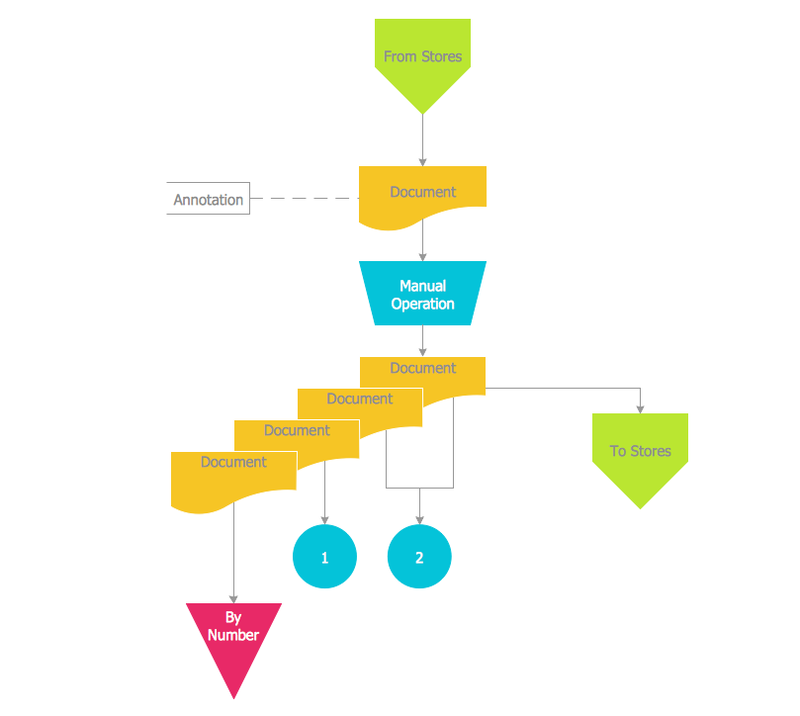 ConceptDraw gives the ability to draw Flowchart documents. Flowcharts solutionis a powerful tool that extends ConceptDraw application for drawing business flowcharts. ConceptDraw DIAGRAM v12 ector diagramming and business graphics software enhanced with with templates, green and interactive flowchart makers, samples and stencil libraries from ConceptDraw Solution Park which all focused to help with drawing flowcharts, block diagrams, bar charts, histograms, pie charts, divided bar diagrams, line graphs, area charts, scatter plots, circular arrows diagrams, Venn diagrams, bubble diagrams, concept maps, and others. Accounting flowchart is a system of processes to represent accounting system of an organization. 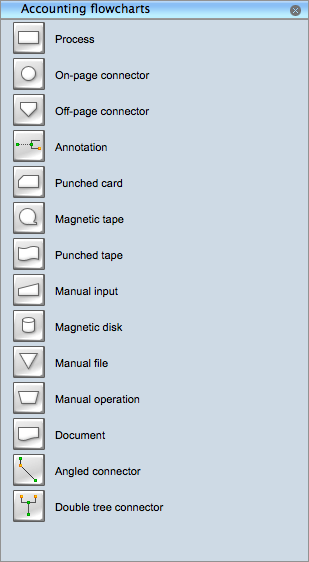 If you need to know how accounting processes work and how each operation is done, the Accounting Flowcharts Solution for ConceptDraw DIAGRAM v12 has a predesigned library, tips, methods and symbols for easy drawing an Accounting Flowchart. The Accounting flowchart shows how information flows from source documents through the accounting records. The are based on the accounting procedures or processes. Flowcharts are used to represent accounting information in a system . There are special symbols which are used to create accounting flowcharts. 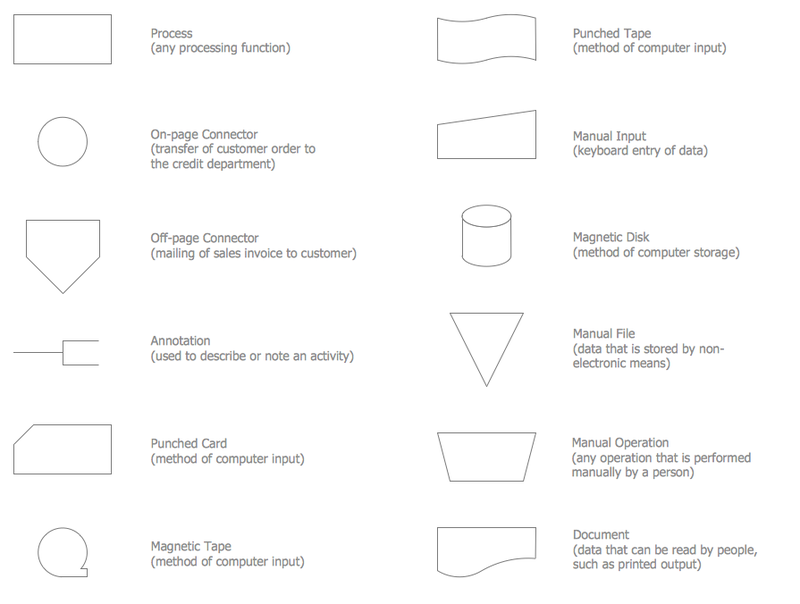 Try conceptdraw flowcharting set of symbols to draw a professional charts. Picture: Why Flowchart Important to Accounting Information System? This sample shows the Flowchart of the Sustainment and Disposal. A Flowchart is a graphically representation of the process that step-by-step lead to the solution the problem. The geometric figures on the Flowchart represent the steps of the process and are connected with arrows that show the sequence of the actions. The Flowcharts are widely used in engineering, architecture, science, analytics, government, politics, business, marketing, manufacturing, administration, etc. Tips on how to make an accounting flowchart. Describing methods and symbols that are used to represent the accounting system.